Angelina had developed a major health issue the beginning of December 2016. With a lot of prayers and excellent medical staff and treatment, she continued to live a very active life until the beginning of September. Even then, she tried to keep her normal daily routine most days. Her specialist described her as amazing and having a strong will! We called her our miracle dog and truly were blessed for the extra time we had with her after her illness was first diagnosed. Angelina loved life and bringing joy to others, especially Maria . She continued to take long walks every day, visit Menorah Park Center for Senior Living 3-5 hours a day, enjoyed agility class, participated in the Wickliffe Library Tales for a Dog program, and was an ambassador for Golden Retrievers in Need Rescue at volunteer events. She is greatly missed and loved every day! 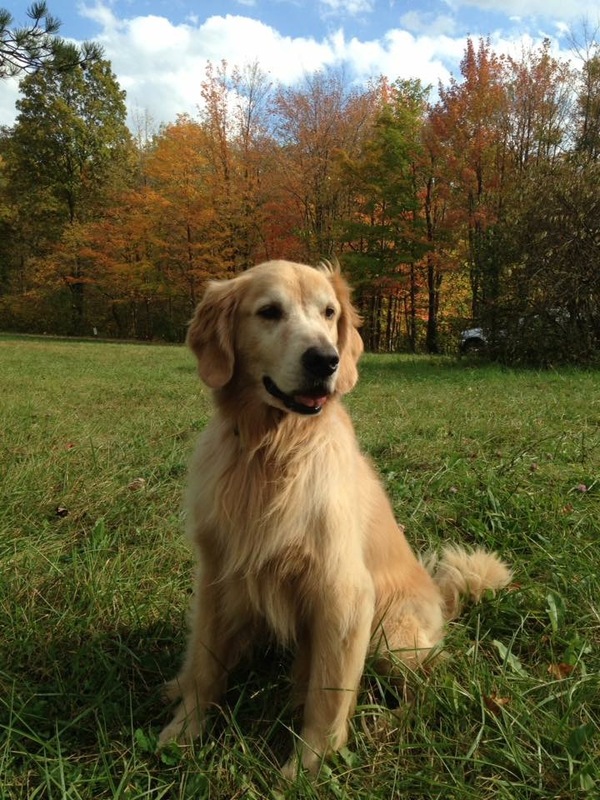 My Louie… Did you ever have a dog that seemed to find you at just the right time? Rescue’s Living the Wonderful Life, Louie, was just that dog for us! He found us right after my first dog, Zoey had passed away suddenly, and left both Cody and me with an empty place in our hearts. Cody, my golden boy, was lost without his buddy! 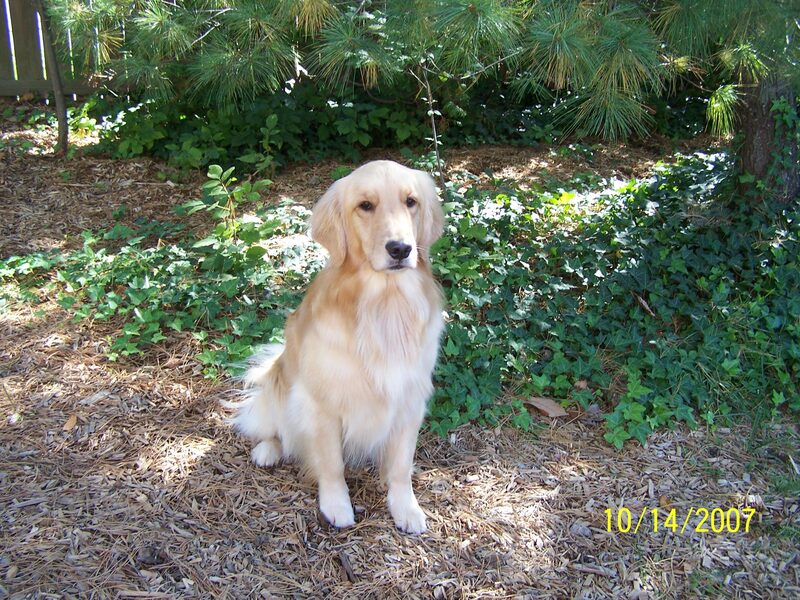 3 weeks later we were “fosters” for this young, golden who’s owner said was “too active” for her. It didn’t help that she kept him in a crate most of the time ! As soon as we laid eyes on him we were in love ! Cody welcomed him into the family and was ready to play ! Louie was an amazing dog who I was blessed with for 5 ½ years ! He became an agilty star, earned his Junior Hunter, and loved every day ! I think his personal goal was to make me smile no matter what ! Louie was diagnosed with intestinal lymphoma in Feb. of 2017. He had emergency surgery, and started chemo very quickly, as well as many holistic supplements. Luckily we were blessed with over 10 mos. of a happy, energetic dog who could still do all the things he loved: play with Score, swim, hike, wrestle, field train, and run agility ! He still competed in agility in December of 2017!